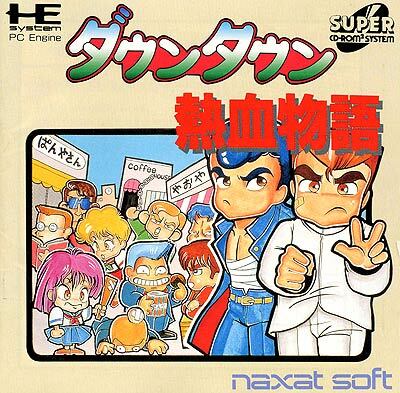 If I've well understood it's a remake of River City Ransom from the NES for the PCE. It's from Technos originally here it was converted by Naxat Soft. It's a beat 'em up with little RPG elements; you can buy items like food, drink, coffee and other things that help in your adventure, killing an enemy rewards you with coins. Characters were also found in "Kuniotachi" for the Super Famicom. You can save your game anytime. Characters are small but backgrounds are colourful and well drawn.